Spring cleaning, Spring cleaning ! I am so ashamed of my studio right now. 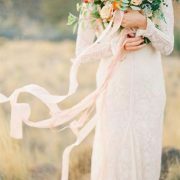 I have lots of ribbons and tulle with variety of colors, sizes, patterns and length. I posted them for sale on my Etsy. 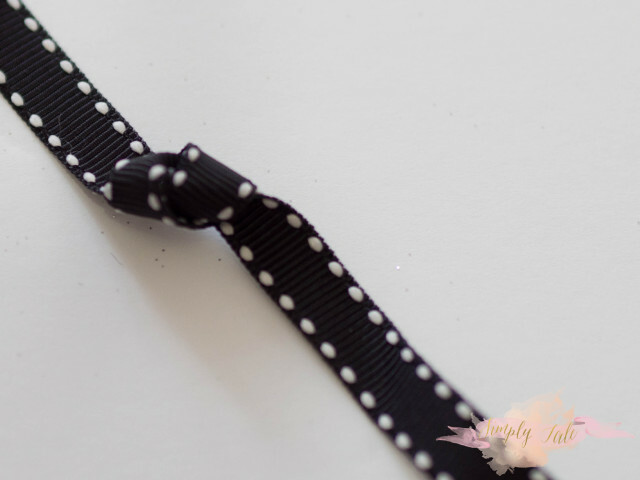 At the meantime, I want to share with you what I made with these ribbons: Tulle and Ribbon Scrab Bows. Organize all your ribbons by color. 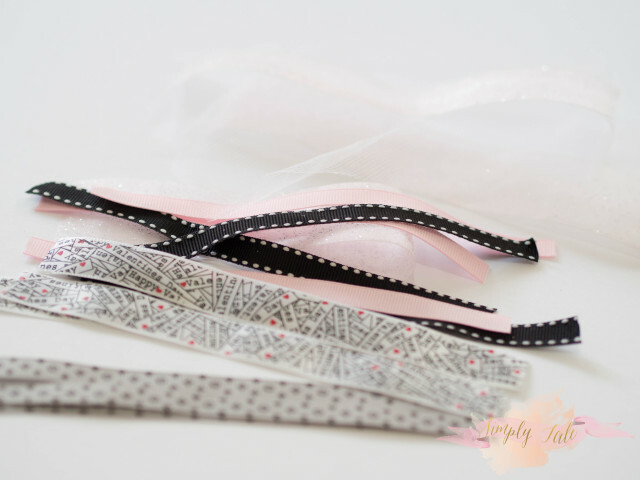 Cut all your ribbons and tulle to be about 6-7 inches long. 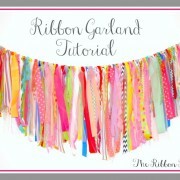 Now that your ribbons and tulle are all cut, it’s time to start stacking them. 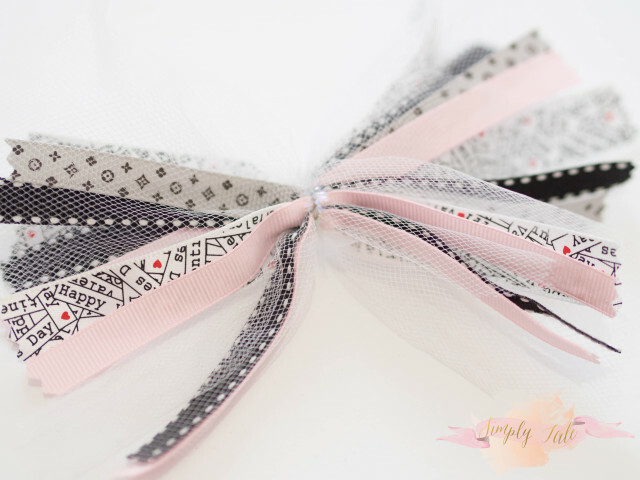 Make an “X” by having your ribbons cross in the center of the bow. 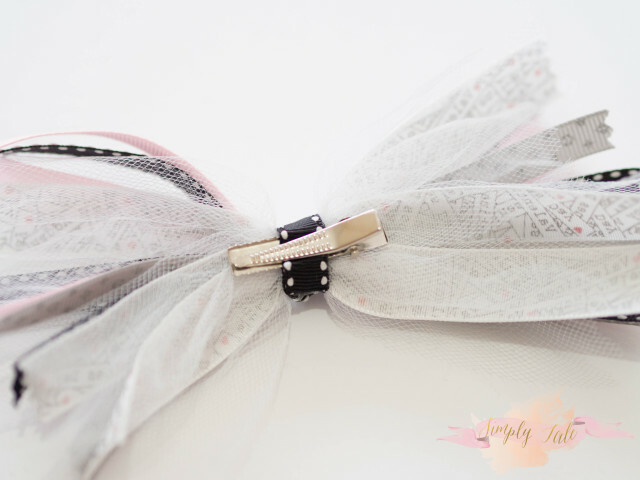 To add extra volume and texture to the bows, use tulle in between ribbons. 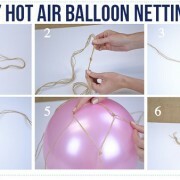 : layer 2 pieces of ribbon and then alternate with a piece of tulle. 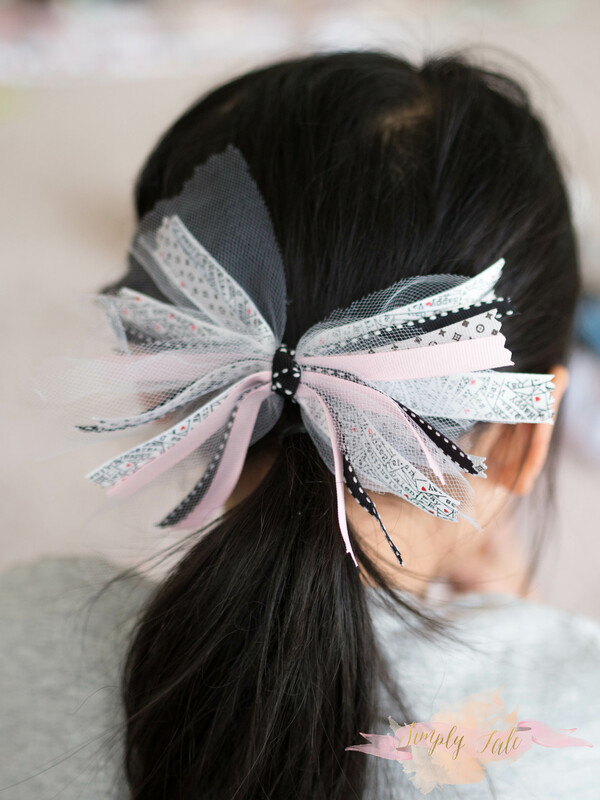 What do you do with your scrap ribbons ? Please share in the comment below.